Shotokan (松濤館流 Shōtōkan-ryū) is a style of karate, developed from various martial arts by Gichin Funakoshi (1868–1957) and his son Gigo (Yoshitaka) Funakoshi (1906–1945). Gichin was born in Okinawa and is widely credited with popularizing karate through a series of public demonstrations, and by promoting the development of university karate clubs, including those at Keio, Waseda, Hitotsubashi (Shodai), Takushoku, Chuo, Gakushuin, and Hosei. Funakoshi had many students at the university clubs and outside dojos, who continued to teach karate after his death in 1957. However, internal disagreements led to the creation of different organizations—including an initial split between the Japan Karate Association (headed by Masatoshi Nakayama) and the Shotokai (headed by Shigeru Egami), followed by many others—so that today there is no single “Shotokan school”, although they all bear Funakoshi’s influence. Shihan Kai Leung, Master Instructor of the Shotojuku, is a founding member of the International Shotokai Karate-do Federation. His dojo is the Federation Headquarters. Shihan started training in the martial arts in 1964, obtained his black belt in 1967, and began formally teaching in the early 70's. Shihan's countless accolades over the past four decades include top ten ranking by Karate Illustrated Magazine in 1982 and the all American Open Championships in 1984, which he won at Madison Square Garden. As a former karate tournament champion and widely recognized expert in self defense. Shihan has taught Shotokan karate-do for Master Toyotaro Miyazaki for many years, establishing himself as Master Miyazaki's highest ranking disciple and most well known instructor. 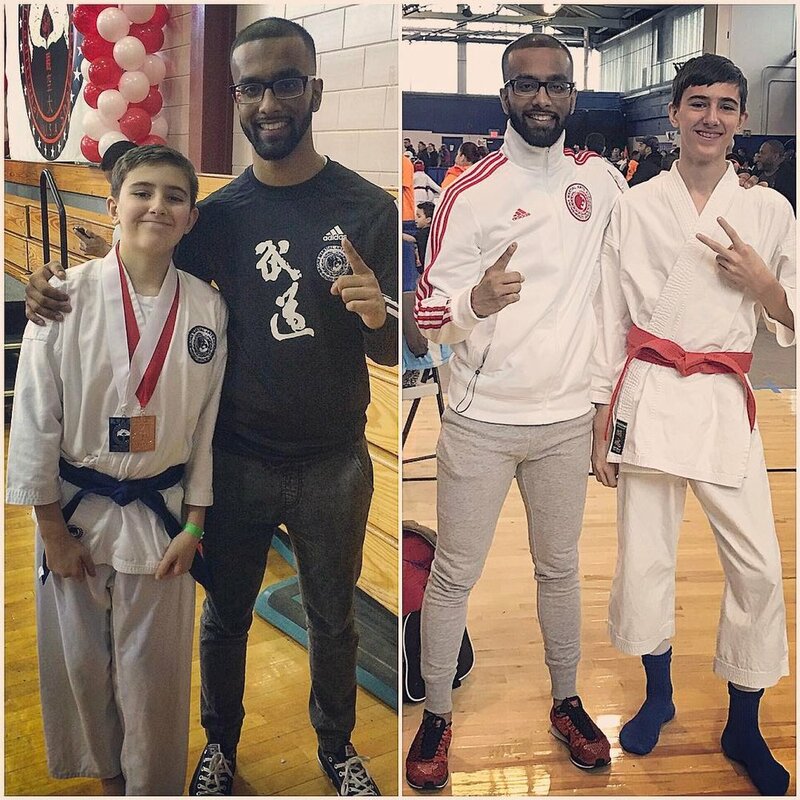 He continues to produce some of the country's most outstanding students, many of whom have gone on to become National and international champions, karate teachers and self defense instructors. Gichin Funakoshi laid out the Twenty Precepts of Karate, (or Niju kun) which form the foundations of the art, before his students established the JKA. Within these twenty principles, based heavily on Bushido and Zen, lies the philosophy of Shotokan. The principles allude to notions of humility, respect, compassion, patience, and both an inward and outward calmness. It was Funakoshi’s belief that through karate practice and observation of these 20 principles, the karateka would improve their person. The Dojo kun lists five philosophical rules for training in the dojo; seek perfection of character, be faithful, endeavor to excel, respect others, refrain from violent behavior. The Dojo kun is usually posted on a wall in the dojo, and some shotokan clubs recite the Dojo kun at the beginning and/or end of each class to provide motivation and a context for further training. Have you trained a martial art before?